Sunday morning in Kansas City, it’s a mild 75 degrees, overcast…and the River Market is humming with life. I love going down there, whether it is crowded or not. There are probably 25 flea market tables set up, trash and treasure piled up on and under them. Two thirds of the available covered space for the more permanent sellers were occupied, and maybe two thirds of them were selling fresh vegetables. I have missed the tomato boom, last week must have been the last week, and I fortunately got 20 pounds. This week there wasn’t too much out that I felt like I could save for winter, but I got one quart of green beans and one quart of pickling cucumbers. The cucumbers looked really good, the beans looked like they were about a day old. I treated them both the same way when I got them home. We are fermenting beans and cucumbers. Three tablespoons of pickling salt in one quart of water, one tablespoon of pickling spices in each quart jar. The jars I am using are swing-top fido glass jars, specially modified to accept an airlock to let out fermenting gasses, but that keep bugs and mold out. Ask me where you can get these jars, I make them. Now, time and bacteria will make the raw beans and squash into a vitamin-packed health food. The acid content will rise, adding a tasty zip. They are pre-salted in the brine. In a few days we can eat them raw from the bottle, just like a pickle, or we can cook them in another dish, where they will be an exotic tasty ingredient. 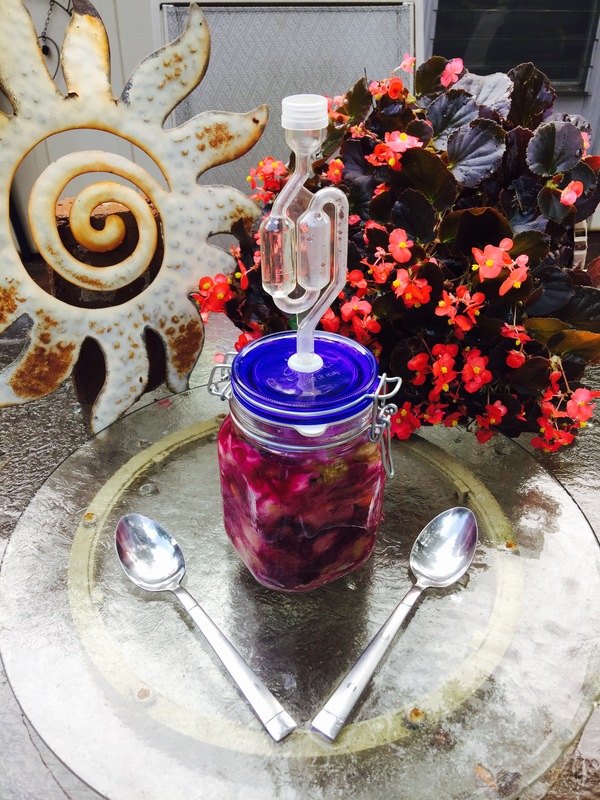 This entry was posted in Health, Living and tagged farmer's market, fermenting, real food. Bookmark the permalink.